Wherever you are in Montana, there’s a place where you can pitch a tent and lay out your sleeping bag for a night under the stars in hundreds of public or private campgrounds statewide. Within Montana's borders alone there are 24 state parks with hundreds of sites that offer tent and RV camping, along with a recently launched reservation system for those who want to stay a night or two (or three!). In addition to traditional campgrounds, family-friendly camper cabins are also available - or why not try out a yurt, or rent a teepee? Of course no visit to Big Sky Country would be complete without at least a short stay in Glacier National Park, Yellowstone or a trip to see the scenic splendor along the Missouri River at Great Falls for the ultimate in breathtaking outdoor adventure. 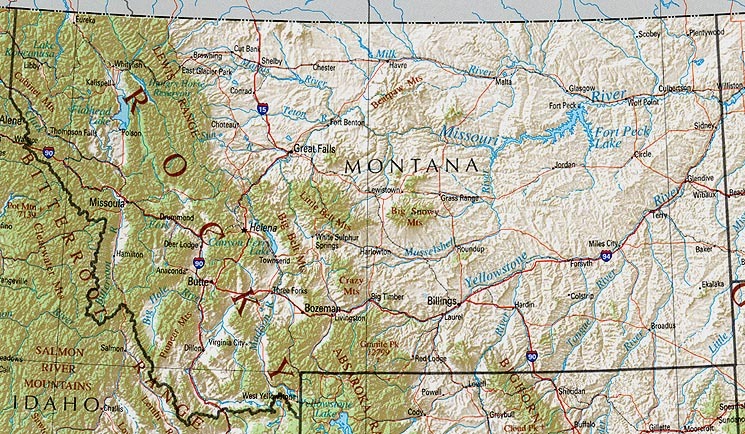 Montana Camping - The official tourism site with a neat interactive regional map, or use the dropdown menu to find campgrounds by city. Includes brief overviews with lists of amenities and services, contact info, driving directions and related resources. Camping in Montana State Parks - Official site guide to campgrounds, teepees, yurts and cabin camping with information on amenities and services, entry fees and licenses. Campgrounds in Bozeman Montana - Good directory of where to camp in and around Bozeman with overviews of amenities and services, contact info, photos and related resources.. Camping in the Libby, Montana area - Visitor guide with complete information on camping within the Kootenai National Forest with information on fees, opening dates, map.